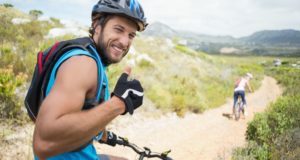 Long bike rides can be quite challenging and test your limits, making it even more important to pay attention to taking in enough fluids in order to prevent dehydration, which can be life threatening. This post will tell you everything you need to know about how you can stay hydrated! What happens when I loose fluids? Long, sweaty rides cause you to loose fluids, which can noticeable lessen your performance. It may take only one or two hours of medium effort to loose 2-3% of fluids, which can decrease your performance by up to 20%. If you loose more than 3% of fluids, your reaction time, concentration and aerobic performance will suffer considerably. Your blood becomes thicker, your heart has to work harder and your muscles aren’t sufficiently provided with oxygen. Tip: You also loose fluids when it is cold outside, so make sure you drink enough during every season, not only during the summer months. 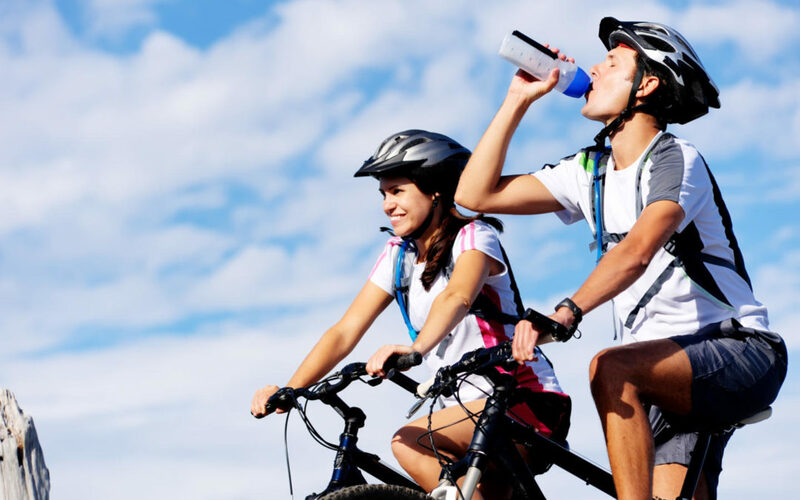 Start hydrating early – if you’re planning on doing a longer tour tomorrow, you should already drink enough fluids in today’s evening in order to even out your fluid balance. Humans need about 2,5 litres of fluids every day, however, this number also includes water resulting from your metabolism and all water held in solid foods. Nevertheless, this equates to a need of 1,5 litres of water per day if you’re not doing any sports. Drink about 300-500ml before your ride in order to be prepared. Tip: Urine is an indicator for your fluid balance. If you’re urine is yellow, you haven’t been drinking enough. Water is a great drink to quench thirst. However, if you’re fluid deficient, you may not be taking in enough nutrients. Nutrition experts recommend that you drink a mixture of mineral water and fruit juices in order to take in those nutrients you need. Pure water is lost over the kidneys and flushes out additional salts, which can lead to muscle cramps. Mixing apple or grape juice with some magnesian mineral water helps you stay fit on longer tours. Tip: Pay attention to your body’s reaction to sports drinks. Some self-made juice mixtures can lead to gastro-intestinal complaints. Drink about 100-150ml in small sips every 15 minutes. This way, you make sure that your body is well catered for and doesn’t get overstrained. A litre of liquid takes some time to reach your bowels. If you want to ride over 100km or know that your ride is going to take several hours, bring two bottles filled with an electrolyte mix or self-mixed juices. After finishing the first bottle, pour half the liquid from the second one into it and fill both bottles up to the brim (e.g. with water at a gas station). Tip: It’s all about the right mixture. 60 to 80 grams of carbohydrates per litre of water are ideal and are quickly absorbed by your body. A mixture of maltodextrin, water and a small dash of salt is especially well tolerated by the body (the sodium in salt is essential). Don’t forget to drink something as soon as you get home from your ride. 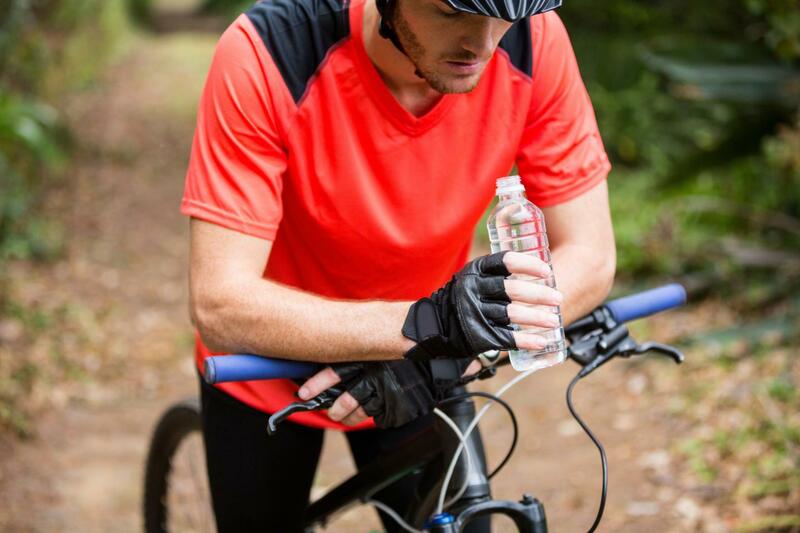 You need to replenish your water storage, so drink about 500ml for every ½ kilogram you lost during your ride. 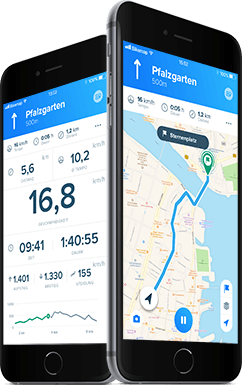 The best strategy is to weigh yourself before getting on your bike, which allows you to compare your weight before and after your trip. 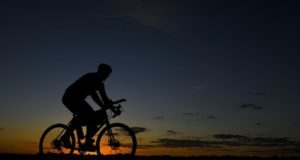 Protein helps muscles cells with regeneration, and don’t worry: You can even have a beer after your ride, as long as it’s non-alcoholic and isotonic. How many calories do I burn when cycling?